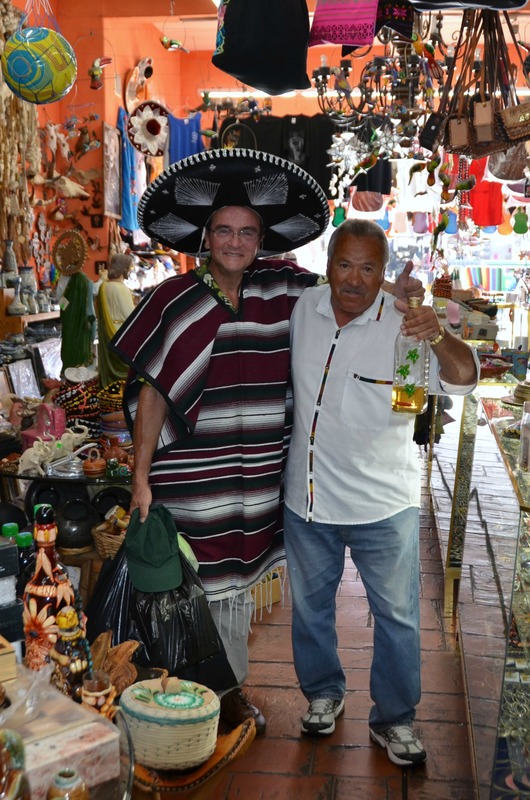 Photo of the week: TIJUANA + TOURISM + TEQUILA! Photo of the week: TIJUANA + TOURISM + TEQUILA! – I spent the last few days in one of my favorite fun places in the world = Tijuana, Mexico! It’s is a photographer’s feast of colors, architecture, stark contrasts and vibrant life. Wednesday was spent walking the streets from 9am till 9pm with camera in hand! I just got back home and am exhausted and exhilarated from having such a good time, eating superb meals, photographing and shopping. I took well over 1,000 photos between San Diego and Mexico. There are many blogs with many stories to come (including one about the dog who wanted to go to church!) about this much maligned city. I’m thinking of starting a “Tijuana Tuesday” blog to tell the stories of this curious and fascinating place, the people and their daily lives. Oh, btw – this is my new friend Carlos with whom I shared tequila shots – why not . . . it was noon 🙂 !